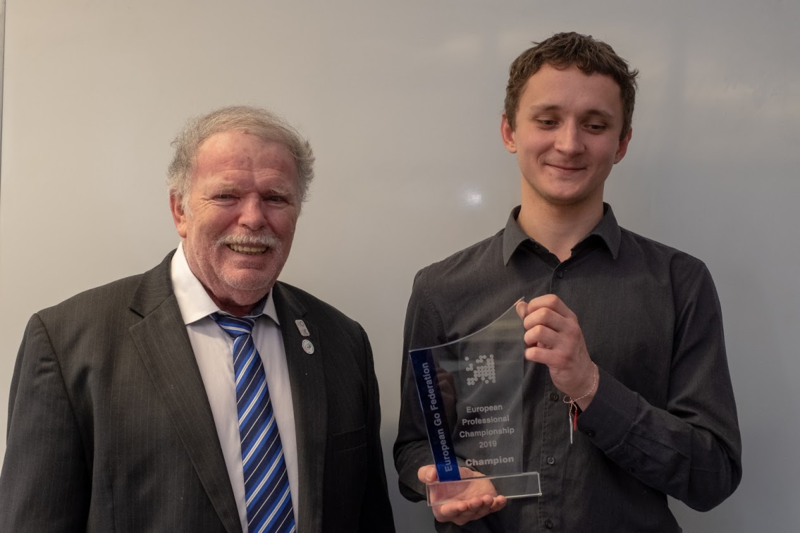 The 2019 European Professional Championship was held on 6–8 March in Jena, Germany. It is an annual tournament for professional go players living in Europe. It is not only the title of the European champion and the winner’s prize of 1,200 euro which is at stake in the tournament. Top three EGF-certified professional players also qualify for the European team in the Chinese C League – an annual team tournament held in China. One more player for the team is chosen by the Chinese sponsors of the team through a wild card. You can learn more about the Chinese C League in an earlier article on its 2018 edition. 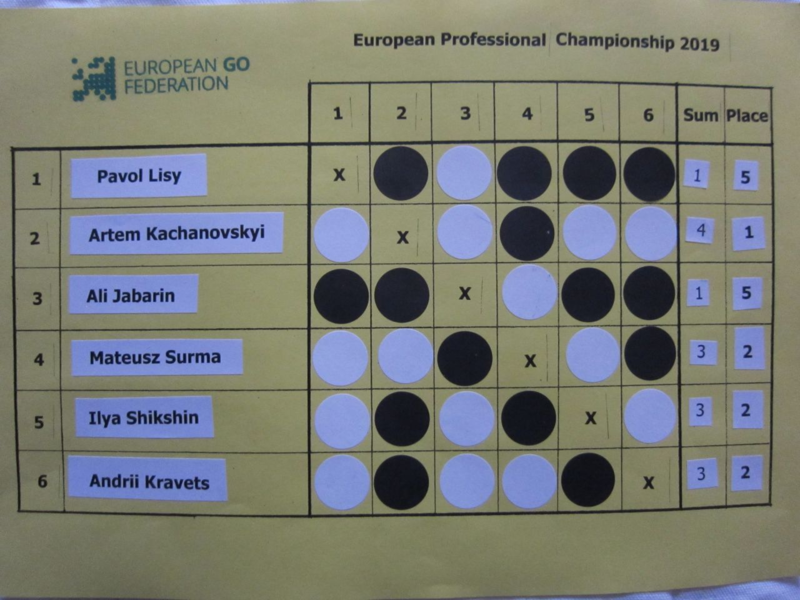 The European Professional Championship is open to all professional players who hold a European passport, but, this year, only the six EGF-certified professionals decided to participate. Round robin system was used, and the tournament was broadcast on Twitch and the KGS Go Server. The winner was Artem Kachanovskyi 2p (Ukraine), who got four wins out of five games. Mateusz Surma 2p (Poland), Ilya Shikshin 3p (Russia), and Andrii Kravets 1p (Ukraine) ended up sharing the 2nd place with 3 wins. Pavol Lisy 2p (Slovakia) and Ali Jabarin 2p (Israel) took 5th and 6th place respectively, each having won one game. As the EGF needed to choose three players for the Chinese C League, and there were three players sharing 2nd place, an additional blitz tournament was held between the tied players. The winners were Ilya Shikshin 3p and Mateusz Surma 2p, and so, Artem, Ilya, and Mateusz are qualified to play in the Chinese C League, with one more player getting decided later. You can find game records and further details on the tournament at the tournament webpage. Clicking on a result in the tournament table downloads an sgf file of the game. For more information you can also read an article on the EGF webpage.